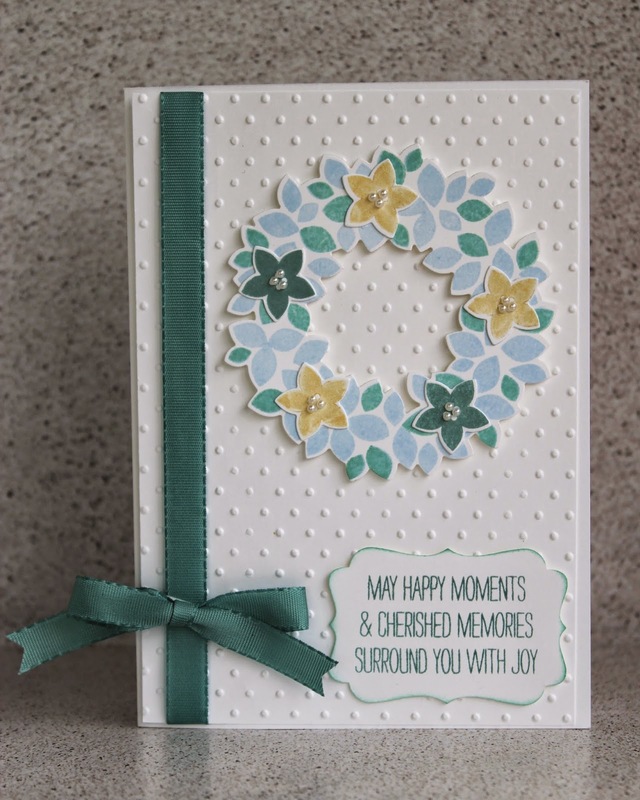 For my project I have made a sympathy card using the Wondrous Wreath stamp set and coordinating Wonderful Wreath Framelits dies. Please leave me a comment and tell me what you think. You might have found your way here from Christine Bennett's blog. Next stop (if you didn't start with her) is Narelle Hoggard. When you're ready click next to hop on over to her blog and enjoy all the fantastic projects our team have created. A lovely card Kathryn. A great way to use the stamp for a non Christmas card. Thanks Angela - I have to give my Mum credit for that idea. It was her who said to me it could be a sympathy card. A very pretty card Kathryn, great colour combo. I love how you have used a this stamp set for a non-Christmas card. Wonderful! Well done Kathryn - really love this in a non-Christmas colour theme. I really like how you have the used the wreath in something other than Christmas. A nice soft soothing card - nice colours too. Thank you everyone for all your lovely comments. I must say it was great fun to do this blog hop and everyone did so well. Very pretty card , love the softer colours.